The EZ Detail Brush gently cleans delicate nooks and crannies! 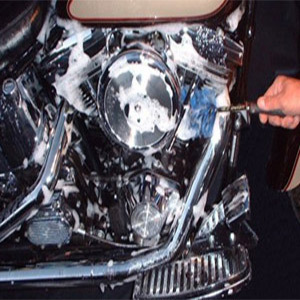 Eliminate hours of tedious wash time with this safe, non-scratch wash tool. 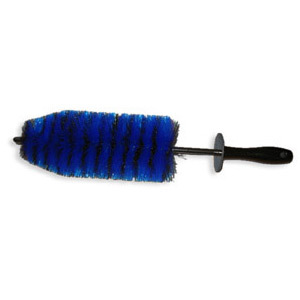 This EZ Brush is constructed of soft nylex bristles, a bonded tip, and vinyl coated wire. 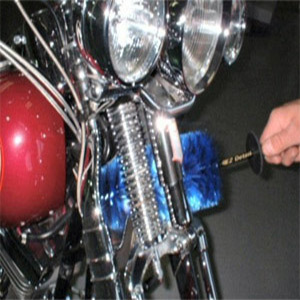 The EZ Detail Brush is great for automobile wheels, car engine compartments, boats, bicycles, airplanes, ATV's, & wheelchairs. Note: Do not use this brush on components that are hot to touch, make sure component is cool to touch before using brush. • Bristle Shaft Length: 12"
• Handle Length: 5 1/2"
• Total Length: 17 1/2"